The anniversary of one of the most disputed presidential elections in history is just around the corner. An election where the Democratic candidate won the popular vote by less than 500,000 votes, but the vote of the Electoral College was in question. Allegations of fraud and racial intimidation abounded. Both parties sent respected elder statesmen to Florida to watch as local election officials conducted recounts. A divided nation waited as the seemingly endless saga dragged on. In the end, after the controversial vote of one Supreme Court justice voting along party lines, the election was finally decided, and the Republican candidate was sworn in as president with a razor thin electoral vote majority. No, not that one! It was 1876, 125 years ago, when Rutherford B. Hayes defeated Samuel Tilden by a single vote in the Electoral College, in an election that makes the previous one seem normal! To understand the election of 1876, we need to start 21 years earlier – the end of the Civil War. President Andrew Johnson had decided to adhere to Abraham Lincoln's desire that the rebellious southern states be allowed to re-enter the union as quickly and as painlessly as possible. Under Johnson's leadership, white southerners took full advantage of their mild treatment by passing laws regulating the working conditions and pay of the newly freed blacks that, in effect, made them nothing more than poorly paid slaves with no real rights. An opposing group of congressman, known as Radical Republicans, believed that the south should be punished for their treason. Over Johnson's many vetos, they passed laws aimed at protecting the civil rights of blacks. They proposed what became the 14th Amendment, giving blacks the right to vote, and effectively barring any southern politician who supported the Confederacy from holding elective office again. Ten southern states refused to ratify the amendment, and Congress began what came to be known as Reconstruction. The governments of those ten states were disbanded and replaced with military districts. Most white southerners were stripped of their rights. In the south, more blacks were eligible to vote than whites, and the new voters voted for Republican "carpetbaggers" from the north. While Republicans continued their dominance in the north, and with the south under Republican carpetbagger rule, and with a Republican in the White House, corruption was almost inevitable. Boss Tweed owned most New York politicians, Teapot Dome was the latest White House scandal, and troops were being called into the south to make sure Republicans continued to win elections. The public got so fed up with it all that even northern Republicans were beginning to feel vulnerable. By the mid-1870's, Democrats were able to "redeem", or win back control of all the carpetbagger states except Louisiana, Florida, and South Carolina. This was achieved mainly through intimidation of blacks. It was especially pronounced during elections, where any black man on the street risked his life, whether he was going to vote or not. Government reform was to be the defining issue in the choosing of candidates in 1876. 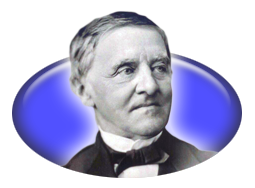 The Democrats chose Samuel Tilden, the governor of New York who had crushed Boss Tweed's bribery ring. The Republican's chose Rutherford B. Hayes, who had led a successful, yet quiet, political career, and therefore had no enemies. His biggest asset, however, was that he was free from the taint of corruption – a trait lacking in most other potential Republican contenders! The campaign went pretty much as expected, with no major surprises on either side. Tilden faced what at the time seemed like a minor problem with southern Democrats. Using their usual tactic of intimidation of blacks, violence and riots broke out in Louisiana and South Carolina – two of the three southern states not yet redeemed. Tilden, who sided with the north during the Civil War, felt compelled to condemn the action of the southern members of his party, not only because of his personal beliefs but to reassure northern Republicans who were seriously considering voting Democratic. This upset some leaders in the south who decided since Tilden was sounding like Hayes, they should just focus on winning their state offices. When election day rolled around, everyone knew it was going to be close. But most assumed Tilden would win in the end. Turnout was heavy on both sides. And in the south, both sides resorted to fraud to advance their candidate. Blacks were kept away from the polls in most southern states and in unredeemed Louisiana and Florida. In those states it seemed as if the Democrats would finally rid themselves of the carpetbaggers. In South Carolina, armed troops allowed blacks to vote (more than once sometimes) while some whites were arrested for intimidation and not released until after the polls had closed. When the votes were counted, Tilden had won the popular vote by about 300,000 votes, and was heading towards an electoral vote win as well. Most newspapers went to press that night announcing a Tilden victory. Hayes went to bed assuming he had lost. However, some Republican operatives noticed the close races in the three unredeemed southern states. If they could reverse Tilden's apparent victory in those states, Hayes would win in the Electoral College by a single vote. Telegraph messages were sent out telling the carpetbagger governors to "hold your state". When the American public awoke the morning after election night, they were met with conflicting reports as to who had won. And so began the strangest post-election in history. One that wouldn't be decided until two days before the new president was to be inaugurated! It appeared as if Samuel Tilden would be the next president. 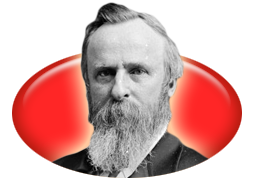 However, Republican operatives in New York realized if they could reverse apparent Tilden wins in the unredeemed states of South Carolina, Louisiana, and Florida, Rutherford B. Hayes would be president by one vote. Both sides were claiming victory. and accusing the other side of fraud. Statesmen from both parties descended on the disputed states to oversee vote recounts. In South Carolina, it seemed that Hayes had won the election, though the use of federal troops in the state may have influenced the outcome. Democrats said they had won, but had no real claim. The state races, however, were actually in dispute. Both parties claimed to have won the governorship. The legislature was charged with resolving the dispute, but both parties claimed to have won that too! In the end, two separate legislatures were sworn in and each certified the candidate of their party the true governor. When it came time for the electors to vote, each governor certified a slate from their party and both were sent to Congress. In Louisiana, it looked as though Tilden had won by several thousand votes. Both sides used bribery to try to make sure local election officials declared their man the winner – the Republicans won the bidding. The returning board threw out over 10,000 Tilden votes as invalid, giving Hayes the state. The governorship of Louisiana had been in dispute for several years, and once again, both parties sent a slate of electors signed by their governor to Congress. In Florida the race had been close. Both sides claimed to have won the state by less than 100 votes. After more behind the scenes shenanigans, the returning board gave the state to Hayes. The Republican electors met and sent their votes, signed by the recently elected Republican governor, to Congress. In protest, Democrats sent an unsigned slate in. They then went to court to have the returning board's decision overturned. The Florida Supreme Court not only threw out the presidential returns, but also the gubernatorial returns! After a recount, the Democratic governor took office and promptly replaced the retuning board with his own people, who decided Tilden had won the state. The same Democratic electors met again and sent in a third set of electoral votes, this one signed by the new governor. In a desperate attempt to get the last vote Tilden need, Democrats challenged one of the Republican electors in Oregon. Hayes had easily won the state, however, one of his electors there was a postmaster. Under the rules of the Constitution, government officials could not be electors. Before the official vote of the Electoral College, the Democratic governor removed the elector in question and replaced him with a Democrat. 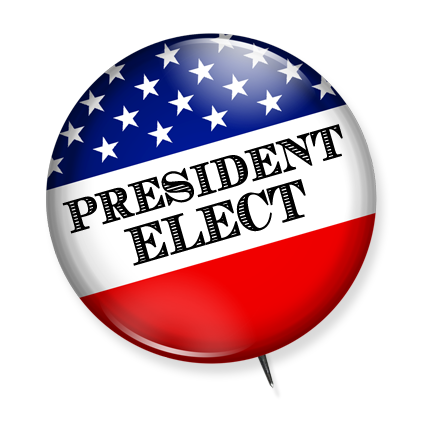 The other two Republican electors refused to meet with the new elector, so the governor appointed two more Democrats to take their place. 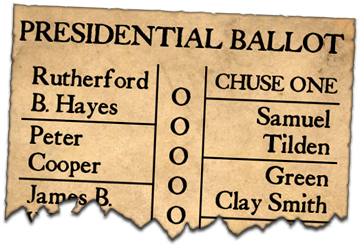 In the meantime, the postmaster had resigned his position and the three original Republican electors cast their votes. So now, a month after the election, the Electoral College's work was done. What was certain was that Tilden had at least 184 electoral votes, while Hayes had 166. Oregon, with 3 votes, had sent in two sets of electoral votes. South Carolina, with 7 votes, had sent in two sets of electoral votes. Louisiana, with 8 votes, had sent in two sets of electoral votes. And Florida, with 4 votes, had sent in three sets of electoral votes. Hayes would need all 22 to be president. Tilden only needed one. It was now up to Congress to count the votes and determine the winner. Unfortunately, there was no mechanism in place to resolve the issue of multiple sets of votes from a state. It would take another month and a half before both sides reached a compromise on how to do it. A 15 member Electoral Commission would be enpaneled to decide which votes to count in the disputed states. The commission would be composed of five Democratic and five Republican congressman, two Democratic and two Republican Supreme Court justices, and one other justice to be determined by the other four. It was a given that the four justices would choose David Davis to be the final member. Seen as an independent and fair justice by both sides, the election would undoubtably rest on his shoulders when the other 14 members split along party lines. However, the day the commission had been agreed to by Congress, Illinois Democrats did something incredibly stupid. In an effort to curry Davis' favor, they appointed him to the Senate. Davis accepted the seat, and promptly resigned the bench. One of the remaining Supreme Court justices would now take the final seat on the commission – and every other justice was a Republican! The commission went forward with eight Republicans and seven Democrats. Their inquiry lasted until the weekend before the inauguration. And on every vote, 8-7 was the outcome. Hayes was awarded all 22 of the disputed electoral votes and, therefore, the presidency. It was later revealed that before his inauguration, southern Democrats had seen the writing on the wall and started negotiating with the Hayes camp. In return for Hayes ending Reconstruction, they would not fight his election by the commission. Historians differ on the effect this election would have on the country. Some say that with Hayes giving white southerners all their rights back, he condemned blacks in America to 85 years of continued discrimination. Others say he saved the country from another Civil War, for only a Republican could have ended Reconstruction without significant backlash. What's important is that something like this could never happen again.